Edging your bets for a great looking yard! The planning season is behind you and now it is time for action. The grass is green and your local lawn and garden center is exploding with color – it feels like it is calling your name each time you pass it. But…as we all know it is never just as easy as digging a hole, dropping in some plants and adding some rubber mulch. For many of us we strive to one up ourselves each and every year by taking on a project that we have been putting off for years. This year on my to-do list is to install some borders around my trees, flower beds and walkways, but there are so many options to choose from…or are there? Always one to over-research a topic, I decided to help make your job a bit easier by comparing some potential options. Metal edging – This tightly rolled 20 feet of torture requires the strength of 10 men and the patience of a saint to try and make a straight line. Accidently step on the edge and bend it? You will never get it just the way you had it. Nick the paint on it? Welcome the rust the next year! Landscape timbers – After measuring and cutting, measuring and cutting, can you guess which timber will bow causing the rest to move out of alignment? Also, can you make a circle out of a square? You will also need to stain theses year in and year out or they will turn to a lovely shade of grey by summer’s end. 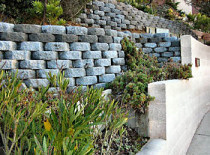 Landscaping blocks – Functional and stylish, but they are like luggage. After driving 3 feet of rebar into each course, they are with you for life. That, and my work, never quite looks like the “after” photo. Plastic edging – Easy to work with and has been around for decades, but one error in judgment with a lawnmower or weed trimmer and you are back to square one. The good people at International Mulch Company feel like they have built the better mousetrap so-to-speak, offering superior durability, flexibility, safety and drainage with their Rubberific Timbers. 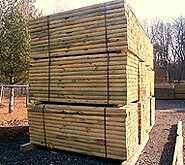 This border system works equally well for landscaping and playground applications. 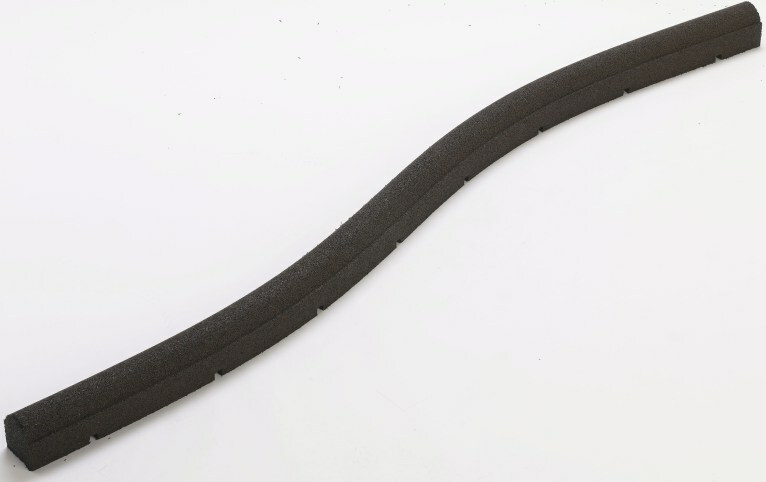 Made from 100% recycled rubber tires, these 8-foot timbers come in a variety of heights and widths as well as multiple colors. Made out of rubber, this timber can be as flexible as you want it to be, from circle to square to straight line. 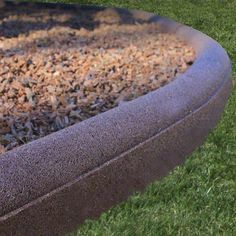 With a sleek, rounded top edge for added playground safety and drainage ports so that water does not build up in your beds or play areas this nearly indestructible curb will look great for years to come and takes just minutes to install. I think we may have just crossed one off the long-term to-do list!